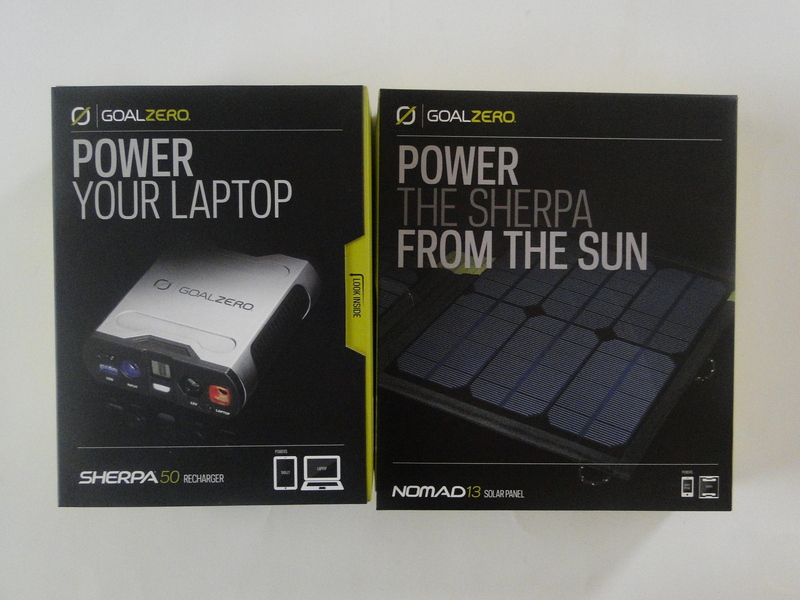 Goal Zero's Sherpa 50 Recharger has a small, lightweight design packed with enough power your portable devices including laptop, tablet, camera, video, DVD player, CPAP, and more. 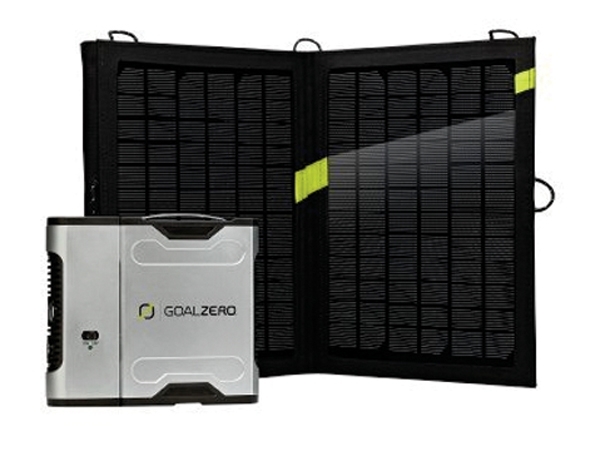 When combined with The Nomad 13 Solar Panel from GoalZero,it directly charges your Goal Zero's Sherpa 50 Recharger. 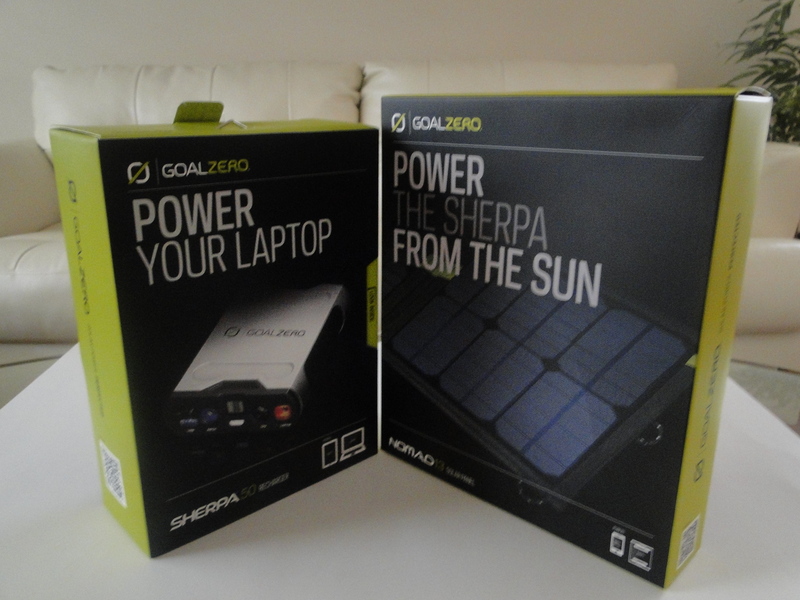 Power your laptop and tablet with Goal Zero’s Sherpa 50 Solar Recharging Kit. It’s easy to pack, light to carry, and expandable to fit your charging needs. Charge the lithium battery power pack from the wall, the sun, or your car. A 110-volt bolt-on inverter is included to deliver AC power to laptops and more.The lithium ion batteries are included, and already installed in the Sherpa 50. The Nomad 13 Solar Panel from GoalZero is a portable and foldable solar panel that will directly charge small electronics like smart phones and GPS units, or GoalZero battery packs like the Sherpa 50. You can chain multiple Nomad 13’s together to increase wattage output for added versatility. The solar panel features a standard USB port to plug your device’s charging cable directly into. Use the 12VDC output, with included car/vehicle plug adapter, to charge electronics like satellite phones. The weather resistant Nomad 13 has loops to secure it to surfaces like tents for catching optimal sunlight, or back packs to catch a charge during a hike. The Nomad 13 will directly charge most USB and 12V devices. Most handheld USB devices, include: Cell phone, smart phone, GPS, MP3 player. 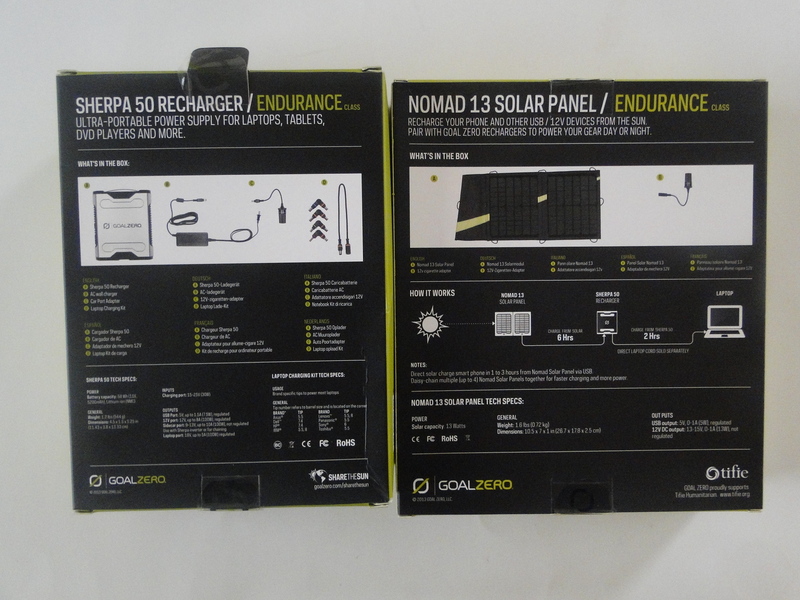 How much time it will take for the Nomad 13 Solar Panel to charge Goal Zero 11004 Sherpa 50 Silver Portable Recharger ? Can i charge a outdoor camera from the sherpa 50?